Credit Sesame is more than just a place to get a free credit score. (But, yes, you can do that too!) It’s also a great resource if you’re trying to improve your score. You may not realize it, but your credit score is used for many different things in life, like helping you qualify for a home mortgage, when you apply to rent an apartment, and even when you apply for a job. If you need help improving your score, check out Credit Sesame’s free advice. Have you ever been surprised to find charges on your credit card for subscriptions you forgot to cancel? I have! That’s where Trim comes in. Trim can help you manage recurring expenses by finding them in your payment history and allowing you to easily cancel them if they are no longer needed. You can even cancel some subscriptions by text! Have you ever found yourself wishing you could earn credit card rewards without the temptation of overspending? With Debitize, you can. Debitize is an app that turns your credit card into a debit card. It will automatically debit your checking account whenever you use your credit card to make a purchase. This way you don’t end up spending more on credit than you have in the bank. Plus, you can still earn rewards for spending on credit. Sling TV streams live channels to your television, including ESPN, TBS, TNT, HGTV, the Disney Channel, and 20+ more channels for only $20/month WITHOUT those annoying contracts. The average cable bill right now is $120/month, with lengthy contracts, and customer service that is horrible! Start saving $100/month by switching over to Sling, and you can also try SlingTV for FREE for 7 days. Ebates Review: How Does Ebates Work? It not only saves you money by helping you find coupons for your online purchases, but it can also save you a ton of time. This is because Honey will automatically apply the coupons for you, so you don’t even have to waste time looking around for coupon codes that apply to your order. Pretty sweet, right? Tired of overpaying for health insurance thanks to the “Affordable” Care Act? Maybe it’s time to check into an alternative, like Medi-Share. Medi-Share isn’t insurance, it’s a Healthcare Sharing Ministry. But, not only do you not have to worry about paying a penalty for being uninsured, it can also cost a lot less than traditional insurance too. 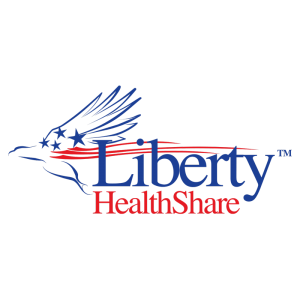 Another popular Healthcare Sharing Ministry is Liberty Health Share. The amount you can save by using a Healthcare Sharing Ministry will vary depending on how much your health insurance costs would be and what your medical needs are. Make sure you do your own comparison to decide what’s best for you. My good friend Chris Huntley over at Huntley Wealth is who I trust and recommend for the best possible rates on Term Life Insurance. Life insurance is a must-have for anyone but it’s also one of the most confusing topics about personal finance. Don’t allow a life insurance agent to talk you into buying expensive (garbage) whole life insurance. Instead, protect your family and your legacy with affordable term-life insurance today. Want to pay off your student loans fast? You might want to look into Credible. Credible is a student loan refinancing company that can help you lower your interest rate, saving you thousands of dollars and helping you pay off your student loans faster too. You may also have a lower monthly payment when you refinance with Credible. Another option to help you with your your student loans is SoFi. SoFi offers Private Loan Consolidation, which can lower your interest rate and save you money. Plus, they also have a few special features, like free unemployment insurance, and an entrepreneurship program that let’s small business owners defer their loans for up to 6 months while they work to grow their business. Tired of not understanding your 401(k)? Don’t worry, you’re not alone. That’s exactly why Blooom was founded, to take the confusion out of your 401(k) and help you make better decisions with your money. Guess what? You don’t have to be rich to invest in real estate. Crowdfunded real estate through Fundrise is a new option that allows people to get started investing in real estate with less money up-front. The minimum needed to get started is only $1,000. Get started investing with just your spare change. No, really! 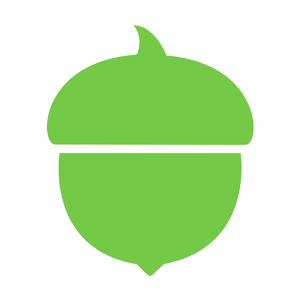 Acorns allows you to round up all of your purchases with your connected accounts and cards. That “spare change” will be put into your Acorns account and invested. You can also set up recurring investments, or add additional one-time investments to your account as well. Did you know the mortgage process costs home-buyers around $8,000? Even though you don’t see all of these costs on the paperwork, that’s about how much it’s costing to to through the process of getting a mortgage. Luckily, Lenda is working to change that and decrease the amount of time it takes to qualify and close too. Starting Money Peach from my kitchen table a few years ago has been life-changing for me. But, it wasn’t without mistakes. Luckily, I’ve created an in-depth guide to help you through the process of getting your own WordPress blog started with Bluehost. A simple way to get started making money online is by taking surveys. You can take surveys during your spare time, while commuting to work, or during the commercial breaks of your favorite TV shows. One of my favorite websites for taking surveys is Survey Junkie. Looking for other side hustles to help you earn more money? We’ve got your back! We’ve put together this epic list of over 80 unique side hustles you can use to earn money on the side.